There are many times we need to ask ourselves, what are our true priorities? A couple of weeks ago, thanks to social media, and fake news, we were all made aware of a suspicious flyer that supposedly originated somewhere in the United Kingdom, but no one was able to determine who was behind it. 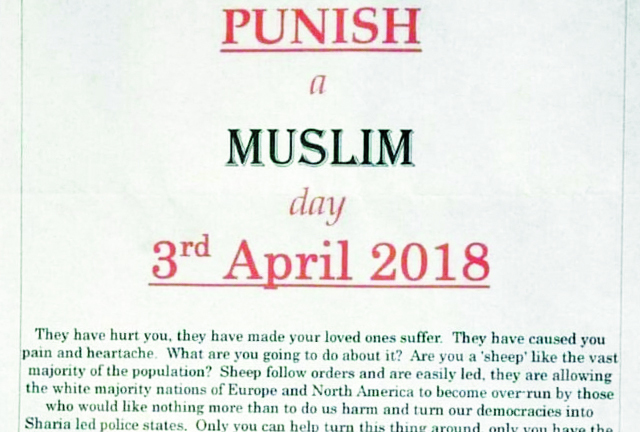 The “Punish a Muslim Day” phenomenon went viral and was quickly publicized on every social media channel imaginable. Ironically, our own community mostly spread the flyer using all means of available communication, which promoted some ridiculous point system for varying anti-Muslim acts. Muslims and Arabs throughout the world started denouncing this little-known marvel. In some ways, the whole scene was reminiscent of what we saw in 2012, when Muslims worldwide made viral a previously unknown sloppy, anti-Muslim short film, “The Innocence of Muslims.” We might remember how our community demonstrated loudly against this movie, likely providing the lousy filmmaker with the fame he so lusted for, yet couldn’t achieve without us. By the way, nothing happened on April 3, the so-called “Punish a Muslim Day.” NOTHING! However, last Friday, very bad things happened to real people. The Israeli military forces murdered 18 Palestinians and wounded hundreds more as they participated in a nonviolent march commemorating “Land Day” or “Youm El Ard.” Palestinians worldwide observe “Land Day” annually in remembrance of the 1976 theft of thousands of dunums (acres) of Palestinian land in Galilee. 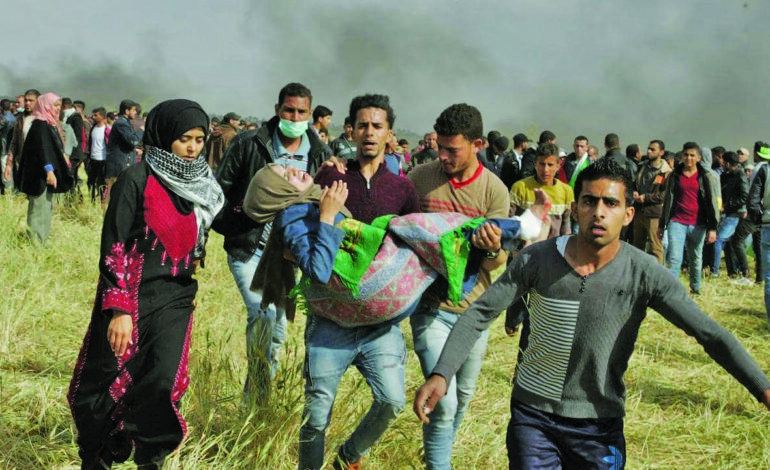 Last week, Palestinians in Gaza were participating in the “Great Return March”, walking to the borders of their open-air prison. Gaza is home to almost 2 million Palestinians. Most of them are refugees originating from villages that, in many cases, lie just a few kilometers away. Gazans are deprived of the most basic human needs by Israel, including clean water, hospital supplies, education and freedom of movement. While we saw very little local activity surrounding the Israeli massacre in Gaza, we witnessed a local uproar about this shoddily created flyer. Our community went on and on about the so-called point system. They organized social media campaigns. They cried out about a photo of a piece of paper, while they stayed largely silent about Palestinian suffering. We cared more about some anonymous loser in England than our own brethren in Gaza. Mohammed Najjar. Mahmoud Muammar. Mohammed Abu Omar. Ahmed Odeh. Jihad Freneh. Mahmoud Saadi Rahmi. Abdelfattah Abdelnabi. Ibrahim Abu Shaar. Abdelqader al-Hawajiri. Sari Abu Odeh. Hamdan Abu Amsheh. Jihad Abu Jamous. Bader al-Sabbagh. Naji Abu Hjair. Omar Waheed Abu Samour. Those were some of their names. They were real people and Muslims, too. Don’t they deserve our attention?